The Gujarati thali is the lighter of the two thalis at Chowpatty. There are a great many puns on the menu at Chowpatty Chat that I do not get. That's okay; I'm not necessarily the intended audience for the Bollywood-themed restaurant in the Mahatma Gandhi District, where the walls are lined with vivid Hindi movie posters and even the chairs resemble the black-and-white film strips that would come off an oversized film reel. I'm not here for the clever Bollywood puns or the old films showing on the TVs planted around the place; I'm here for the thalis. 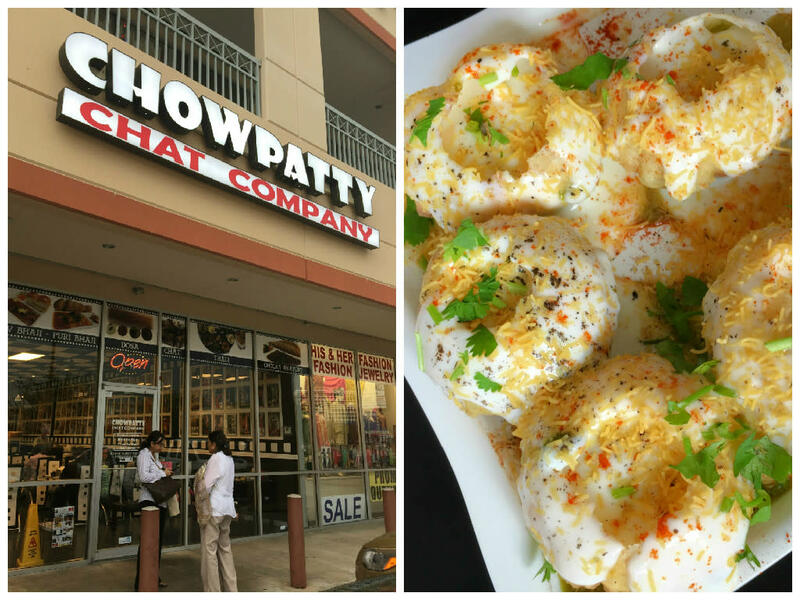 Chowpatty Chat specializes in chaat—it's right there in the name—which is a catch-all term for a variety of different Indian street foods and snacks, but the thing to get here are the thalis. 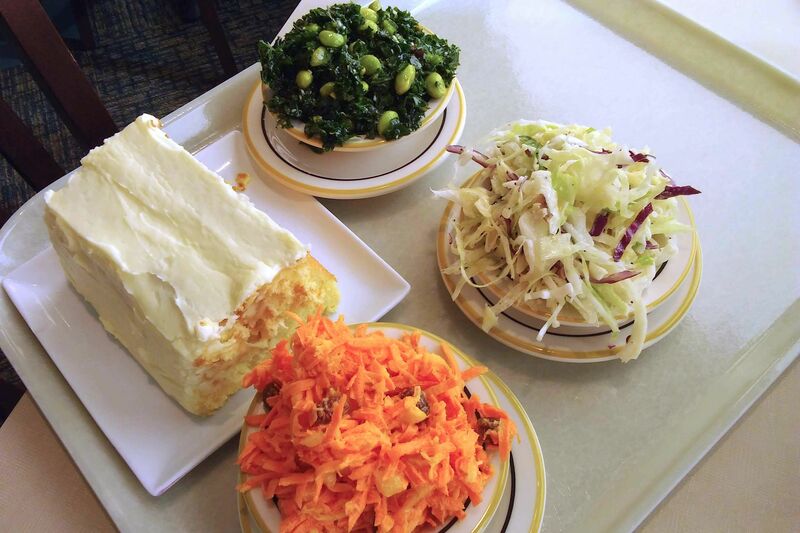 There are two of them, both $12, but each one holds an entirely different array of dishes, right down to the breads, sweets and even lassis they're served with. 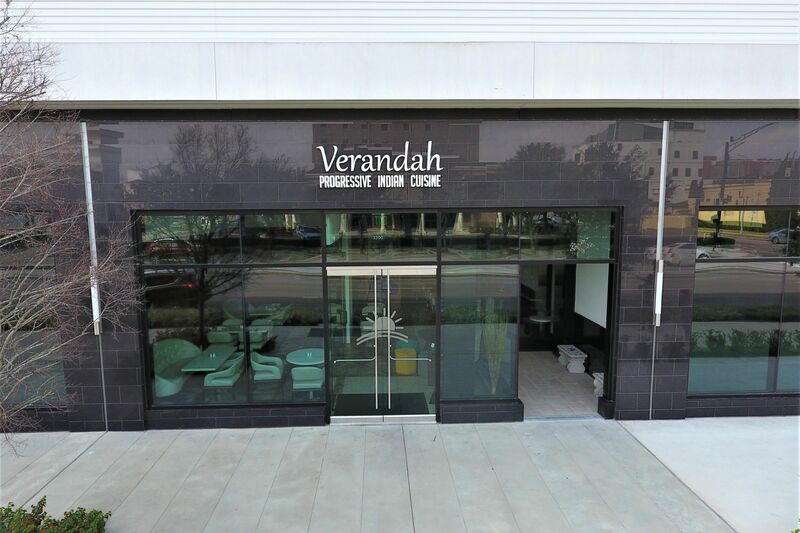 The Shar-E-Punjab (so named for Ranjit Singh, the tiger of Punjab, who founded the Sikh Empire in far northwestern India) thali holds favorites from the Punjab region of India, while the Grand Guja Rati thali contains traditional items from the state of Gujarat on the northwestern coast, which was once home to the great Indus Valley Civilization. While the dishes in the small, stainless steel katori that ring the perimeter of each shiny thali plate are all different, there's one notable similarity between the two: they're both gorgeous. Try to save room for Chowpatty's excellent dahi puri (right). Both thalis come with a heaping serving of basmati rice, with papadums stuck between the mound of rice and several varieties of chutneys, standing aloft like a sail on a particularly colorful boat. The Gujarati thali is served along with a spicy vegetarian samosa and a basket of hot, fresh puri, which you can use to scoop up the various dal and sabzi Chowpatty has tossed onto the thali that day. If you find that samosa too spicy, take a few sip of the sweet lassi served in a gleaming tumbler on the side. 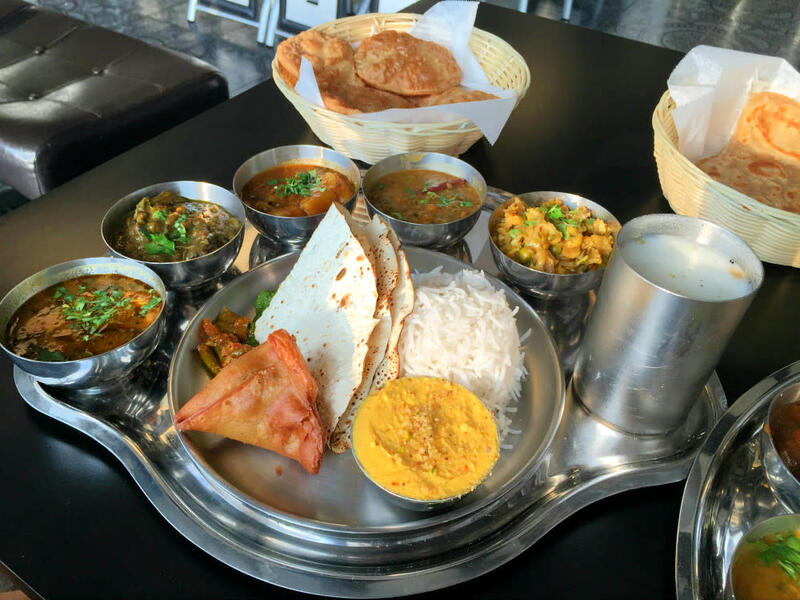 As is traditional, everything on the Gujarati thali is vegetarian (despite what seems to be the widespread belief that only southern Indian food is vegetarian-oriented and that northern Indian food is all meat, all the time). Despite the allure of the puffy puri and the creamy Gujarati dessert called shrikhand (a sweet yogurt flavored with cardamom, saffron and pistachios), it's the Punjabi thali that's the blockbuster here. 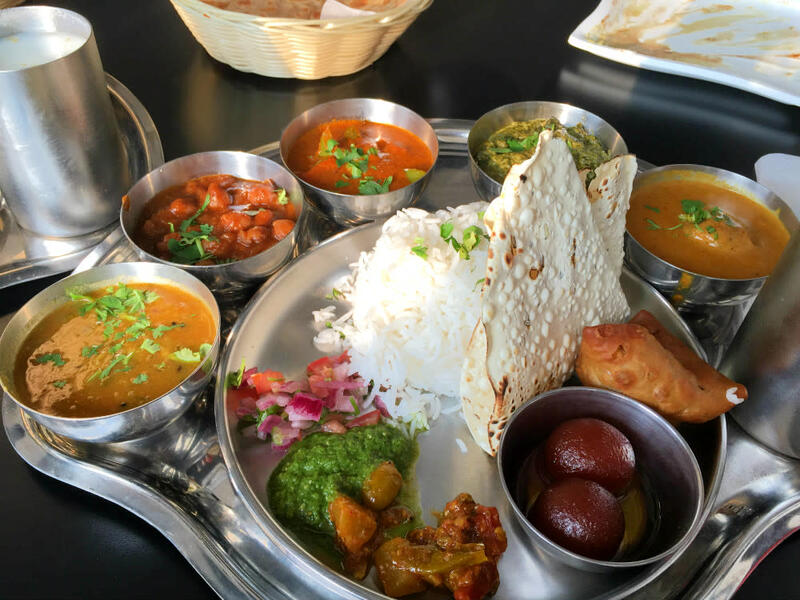 Though it costs the same, it's a heavier amount of food, so come prepared to polish off a huge basket of thick, chewy paratha as well as generous servings of saag paneer, chole masala, chana dal and more, including that Punjabi favorite, gulab jamun. If you're not splitting the thali, you may find yourself hard pressed to finish the sweet, syrup-soaked fritters, made from milk solids (a.k.a. the powder leftover when all the liquid has been removed from milk), which were first brought to the Punjab region via Persian traders—hence the signature rose water syrup they're served in. And if you're sharing a thali, that opens up the possibility of also splitting a plate of Chowpatty's excellent dahi puri, one of the better incarnations of the crunchy-cool-sweet-creamy-spicy snack I've tried in the Hillcroft district. The Punjabi thali offers heartier dishes such as sturdy saag paneer. It should come as no surprise that the thalis at Chowpatty are so artfully arranged; after all, this is the most recent restaurant to open from chef Nirman Shah, who earned his stripes at the five-star Taj Mahal Palace Hotel in Mumbai and is perhaps best known as the man who opened the first US location of popular Indian bakery chain Hot Breads. Though that first Hot Breads was in Edison, New Jersey, it wasn't long before Shah moved to Houston to settle down and open a couple of new concepts. 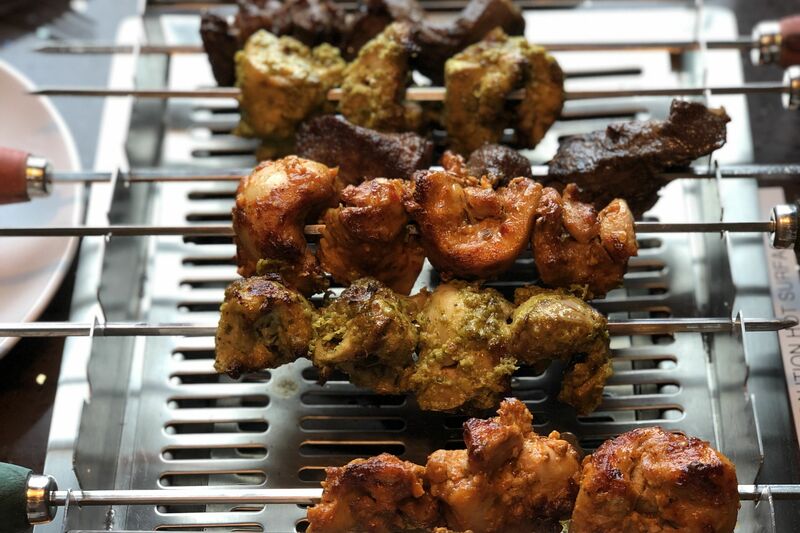 The first was Kurry Walah in Katy, opened in 2012, followed a year later by the first Chowpatty in Sugar Land. 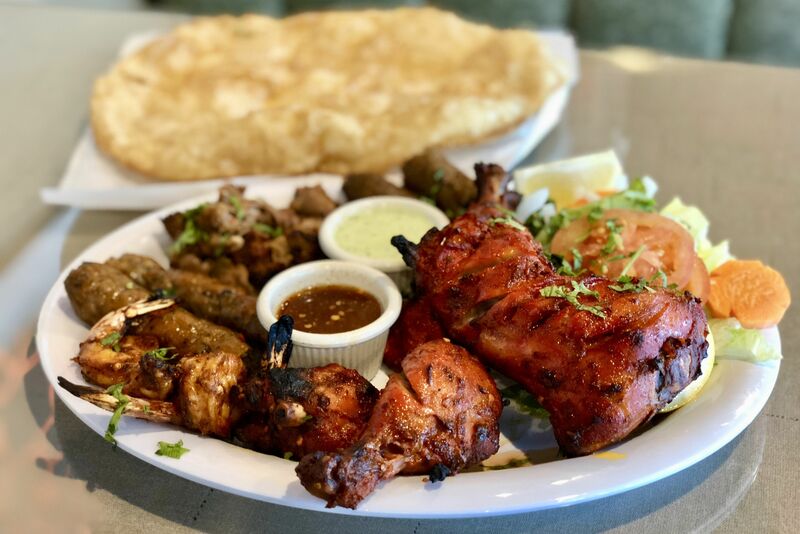 By all accounts, the Sugar Land location of Chowpatty has not been as well-received as this newer Little India location, which opened last year. 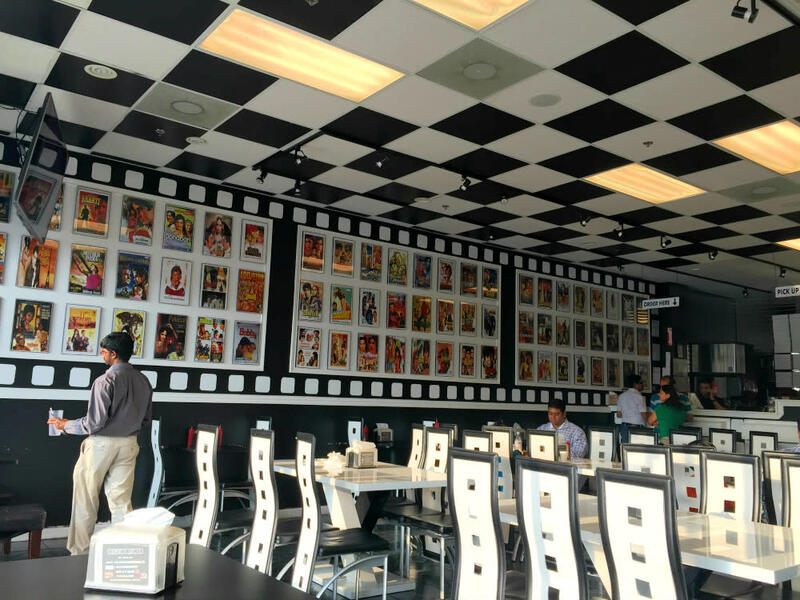 But here at the Hillcroft spot, the chaat is consistently good and the place is consistently packed—a tribute to Shah's skillful marriage of casual street food and high-end cuisine. How awesome is Chowpatty? Just look at it.